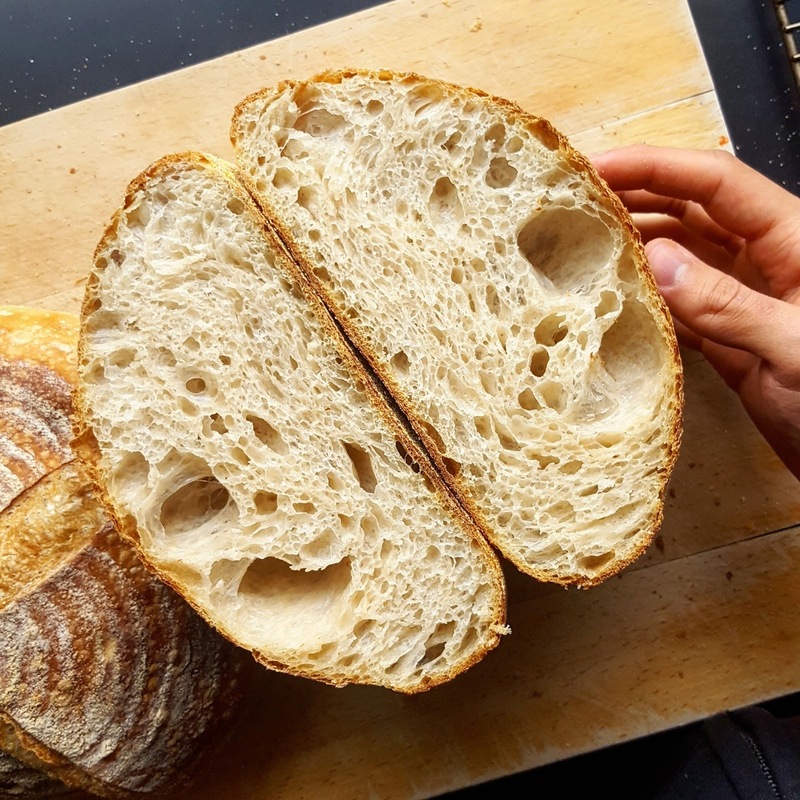 I've tried a whole bunch of different recipes but I keep coming back to the white sourdough from Bourke Street Bakery's book The Bread & Butter Project. It's the recipe I started with and I love how it tastes. If I'm short on time, I'll make the sourdough from Issue 3 of Lunch Lady magazine. You basically mix it up, leave it overnight and bake it in the morning. I've had my share of bread disasters - from loaves that've stuck to the bottom of cast iron pots, to super sticky dough that melts everywhere so it helps to have a go-to recipe to fall back on. If you think you might keep making bread, I'd recommend two things - a banneton for proving and shaping your dough and a dough scraper for dividing your dough and lifting it out of bowls and off boards. I also bought a pretty jar for my starter and it definitely helps that I have a KitchenAid. This is going to sound crazy but I am sure that the bread I make reflects the mood I am in. So I try not to make bread if I'm feeling stressed or busy. You can't really rush sourdough and so it's best made when you're planning to spend a good chunk of time at home. One of my favourite things about making bread is giving loaves away. In Wagga Wagga, I tried to give one away every week. Tony and I would take turns picking a friend or someone at work to receive it and we dubbed it the friendship loaf. Most people are super grateful to receive a homemade loaf.